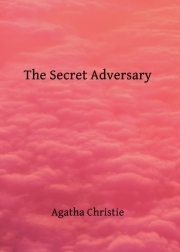 Description of "The Secret Adversary"
A Popular Crime Fiction Written by Agatha Christie. Agatha Christie (1890–1976) was an English crime novelist, short story writer and playwright. Although she wrote six romance novels under the pseudonym Mary Westmacott, her reputation rests on the 66 detective novels and 14 short story collections that she wrote under her own name, which have sold over two billion copies—an amount only surpassed by the Bible and the works of William Shakespeare. Reviews of "The Secret Adversary"